Meritt Hempe is a 1.91m american post player who had a good college career playing at high level with Georgia and who also has professional experience in the Russian League and in Germany, where she was the 3rd best scorer in the championship. Meritt is a versatile post player who can play both the power forward and the center positions and who has a really nice mid and long range shooting combined with the ability to score with her back to the basket. Merritt Hempe joined Georgia University in the 2012/13 season after a very successful year in her high school senior year in which she averaged 23.7 points and 9.9 rebounds per game playing for Stafford. In the 2013/14 season, Merritt Hempe became already an important player for Georgia and she averaged 8.7 points and 4.8 rebounds in 25 minutes per game. After averaging 7.3 points and 4.6 rebounds in 23 minutes per game in her junior year, Merritt Hempe averaged as a senior player 9.3 points and 6.1 rebounds in 24 minutes per game during the 2015/16 season. Merritt Hempe began her professional career overseas in the 2016/17 season and she signed in Germany with Chemcatz Chemnitz become of the best players in the German League with 18.2 points and 8.6 rebounds per game, shining against Avides (29 points 12 rebounds), Saarlouis (26 points 13 rebounds), Keltern (27 points 14 rebounds) and Marburg (28 points 12 rebounds). 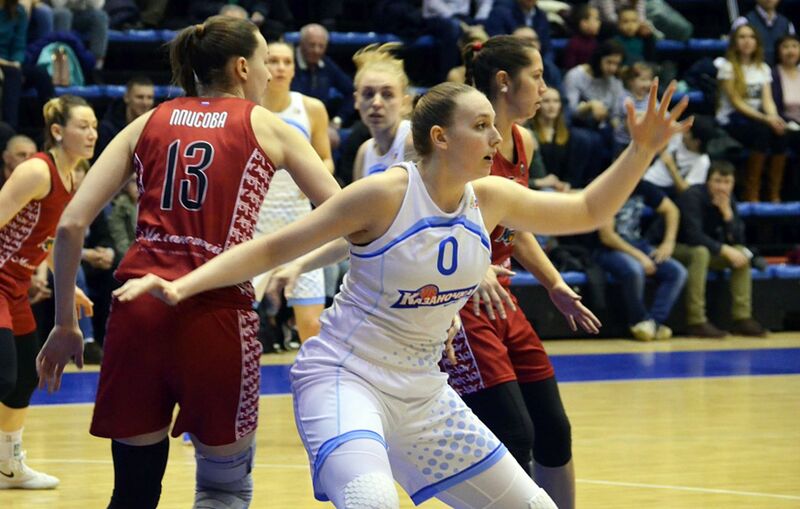 After her great season in Germany, Merritt Hempe signed in Russia with Kazanochka Kazan during the 2017/18 season and she averaged 9.2 points and 3.3 rebounds in 19 minutes per game, shining against Spartak Moscow with 23 points in 26 minutes and achieving the Russian League sixth position.